Owls as Pets – My Child Wants A Harry Potter’s Bird! 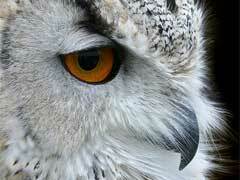 Hedwig, Harry Potter’s beautiful white owl, plays both dedicated pet and handy messenger in the Harry Potter series. He easily lands on Harry’s bare arm and happily hangs out in the dorm or spends his time flying between message drops. From watching these films it is easy to see why many children would suddenly want owls as pets. Unfortunately, other than beauty and majesty, owls in the real world share none of Hedwig’s traits. Owls are wild animals and are certainly not on the list of great exotic pet birds.